Some might say that Lowe's needs a hail mary to compete with Home Depot's awesome ESPN Gameday activation, but even they probably didn't have this in mind. Did the Maryland Terrapins break new ground last weekend when they incorporated a sponsor into the on-field play calling process? It seems a Lowe's Home Improvement logo was used in the top right corner of the board that coaches use to signal in play calls to the team. Lowe's is a sponsor of Maryland Athletics and an NCAA corporate partner. In an era when sponsorship assets are all too often reduced to the measurement of last resort ("reach"), is there any better to align a sponsor with the rooting interests and passions of their target audience than helping call the plays for their favorite team? 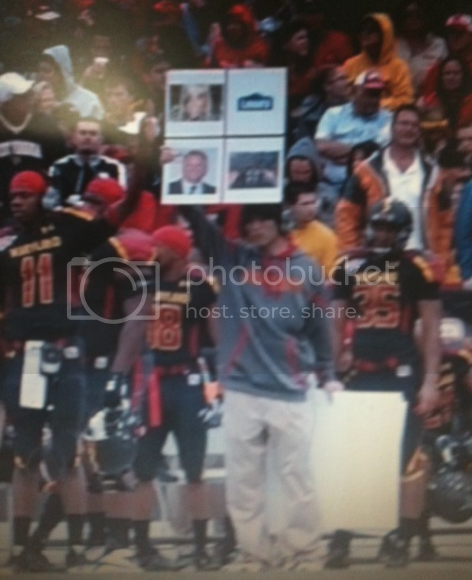 Big hat tip to GMR's Ward Gibson for spotting this in Maryland's game vs. Temple last weekend.